When I introduced the Japanese clans in REMOVED, I westernized the Maeda, Yazkuza, clan. I figured it was a new time, a new continent, and running western style casinos would be good way for Yakuza to make a (relatively) legal foray into society. Of course, many illegal things happen but Noburu Maeda, the head of Maeda clan, is fairly respected and reputable, even if he’s a tough nut to crack. Sanaa spends a good amount of time discerning how to woo him. It’s not a stretch to say that I wish that were my job. But the casinos in REMOVED and the rest of the Nogiku Series don’t touch on any of the traditional Japanese games except for mention of pachinko parlors, so I thought it might be fun for this post to highlight the three most popular historical gambling games from Japan. Are you a fan of the old samurai movies? I’ve seen several dozen and the gambling that usually takes place in them happens illegally behind closed doors. A dozen or so men crowd into a small room, drinking and waving money around while a shirtless man, the dealer, sits in the kneeling seiza position. Two dice are mixed into bamboo cup while players bet on either chō (even) or han (odd). Bets are placed and the dealer slams the cup down, pulls it away, and reveals the dice. That’s it. That’s the extent of the game! It’s a game of odds. One of my favorite Japanese heroes is Zatoichi, a blind swordsman who is cunningly adept at cutting down his enemies despite not being able to see. He can even tell when he is being cheated at chō-han! It’s hilarious when he makes fools of the people who try to take him to the cleaners. And yes, chō-han was and still is illegal and run by the yakuza. Supposedly, it’s still popular in Japan. Pachinko is one of the few forms of legal gambling in Japan, and it is its own beast. I walked into a pachinko parlor in Tokyo and was immediately overwhelmed by the sounds and smoke. 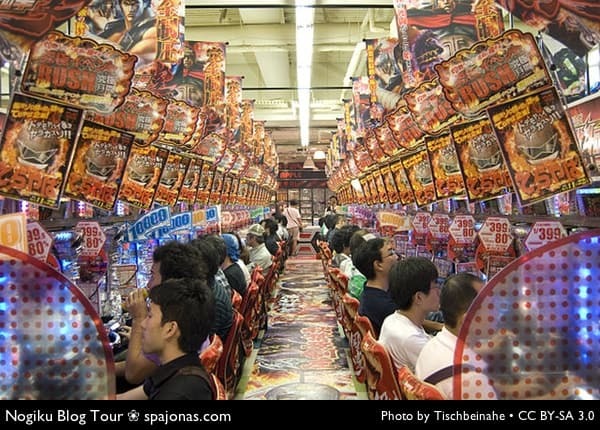 Pachinko machines are like upright pinball machines and there are over 12,000 in Japan run by private companies (source) You cannot win money directly at pachinko. Here’s the deal. You play the games and there are many different varieties just like slot machines at a western casino. When your ball gets into a special slot, you win more balls. Eventually you can exchange those balls for prizes or for chips. The chips are the interesting part. You take your chip, usually next door, out of the pachinko parlor, and exchange it for money. The exchange place is usually owned by the same company that owns the parlor. It’s a pretty sneaky way around the laws. Wouldn’t opening casinos be easier? I have no idea. Pachinko is pretty popular in Japan and, next to the lottery and sports betting, is one of the few legal ways to gamble there. Next time I go to Tokyo, I’m promising myself I’ll really play pachinko. I walked out the last time without playing once. I just learned about hanafuda a few weeks ago. I walk my kids to school everyday and one of the crossing guards has become a good friend. He served in Vietnam and while he was stationed overseas, he also lived in Okinawa. One day, on our way to school, he presented me with these cards. I had never heard of them before so I was excited to find out that it was one of the first original card games in Japan. 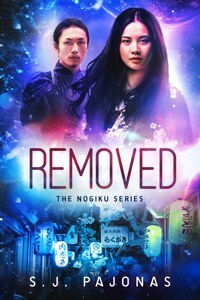 Japan was a very closed off society for most of their history which is a very interesting subject all its own but from the mid-1500s to the mid-1600s, they opened their ports to foreigners and missionaries. The Portuguese brought playing cards from Europe and they became extremely popular amongst the Japanese. But once all foreigners were banned from Japan and the ports closed, the government banned the playing cards from being used. 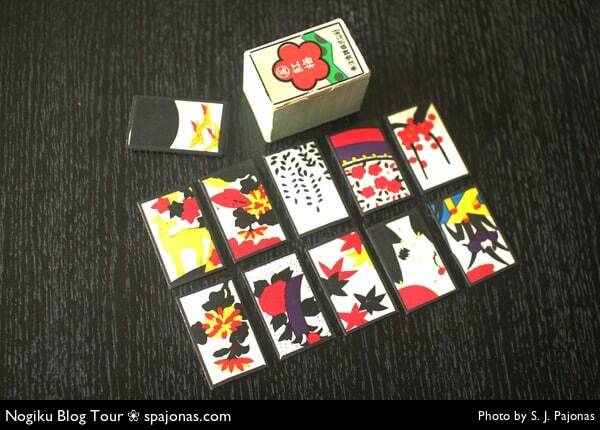 The most popular game using hanafuda cards is Koi-Koi which means “come on” in Japanese. Because this game is super complicated and there are so many varieties of games just like there are varieties of Poker, Gin, Bridge, etc. I highly recommend you check out this article on Wikipedia and it’s sub-articles on the different games. http://en.wikipedia.org/wiki/Hanafuda I now own my own set thanks to my crossing guard friend so I need to learn soon! 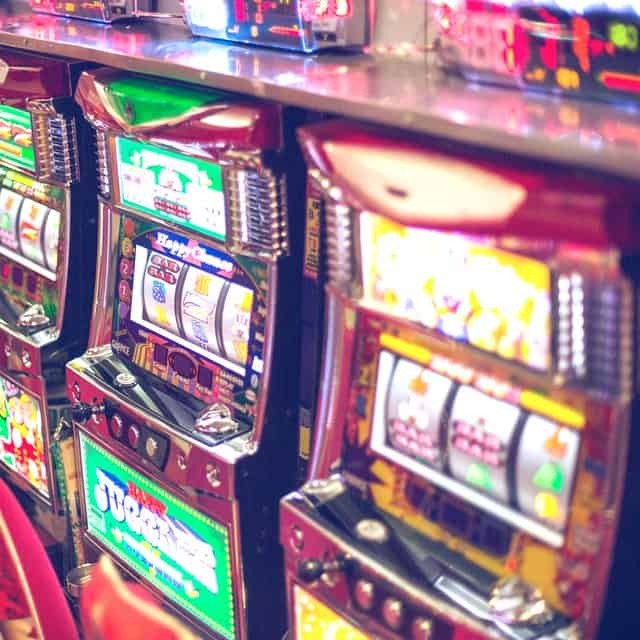 Interested in Gambling in Japan? The Japanese gambling experience is unique to say the least. If you want to see more, check out these photos on Flickr. And this playlist of videos I’ve collected on Gambling in Japan via YouTube.